The USD/CHF pair continues growing inside the uptrend. 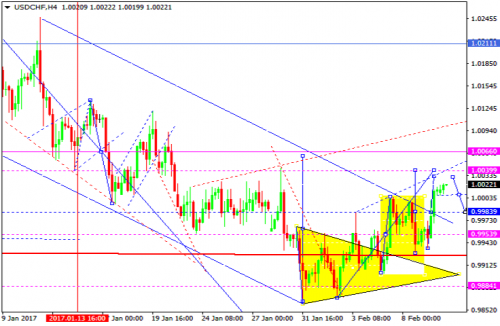 Possibly, today the price may be corrected to reach 0.9998 and then grow towards 1.0067. Later, in our opinion, the market may start another decline with the target at 0.9998.